Most reliable vehicle I have ever owned! First off, my car is a Honda so I absolutely love it because knowing it's a Honda, it will last a long time for my family and I. My dad always told me how Honda's engines last longer than most vehicles. I only rate my specific car 4 out of 5 stars because at about 160,000 miles, my steering pump hose needed to be replaced but that was a cheap and easy fix. The only other reason why I rate it that is because I prefer to have the DX version of the civic vs the LX I have so I can reverse immediately as I'm slowly in forward motion. I have a manual transmission so it's nice to be able to do that without completely stopping but only some cars have that option, and I believe the DX or the EX version of the civic does that. Besides all that, I love my car because it's so dependable and that's the most important thing when looking for a car. My power steering hose needed to be replaced and even though I shouldn't have, I drove with my car like that for over 2 years without replacing it and it was still very reliable. I also drove my car like this almost everyday at least 100 miles so that tells anyone how reliable Honda's are. My husband bought this car brand new from the lot. It was his primary car because we'd gotten a 2005 Honda CR-V in 2012 after we had our daughter. Unfortunately the CR-V was stolen and the insurance payout was just enough to pay off the loan. One week after we paid the bank back, they found the CR-V. I'm not sure if I will ever get over it. So we really couldn't afford another big loan then and my husband started driving a 2000 Ford Taurus my parents weren't using. He wanted me and our daughter to have the better car. It's a sturdy little car and runs great considering the torture I've put it through. I got swept away in a flash flood about a year and a half ago! I thought I was going to die! Not metaphorically, very much literally. The water was getting into the tops of my knee high galoshes. Someone finally saw me (it was evening and stormy) and they found a way to tow me out. My daughter was NOT in the car. Would you believe that Honda drove to the car wash and then home?! And after less money than you'd think it's still going?! Our Honda is part of our family. My Honda Civic has been a reliable and dependable car. It is an automatic 4 cylinder driving machine. The great gas mileage I get(approx. 26 mpg) allows me the affordability to drive with peace of mind. I enjoy the sunroof feature and the stereo system with its awesome speakers, allowing me to enjoy the summer weather with the wind in my hair. I have had my Honda for a few years now, I have had very few issues with my car. Dependable in the winter and the summer for me. The features on the dash allow me to know what is going on with anything under the hood: oil change due, low washer fluids, etc. I have children I transport a lot of places, errands, daily check in on friends, to work, family reunions in others states. Its my 4 door, cruise controlled, dependable, loyal, escape from life as I head down the highway with my tunes. Outside of regular maintenance, my Honda is ready to go everyday. 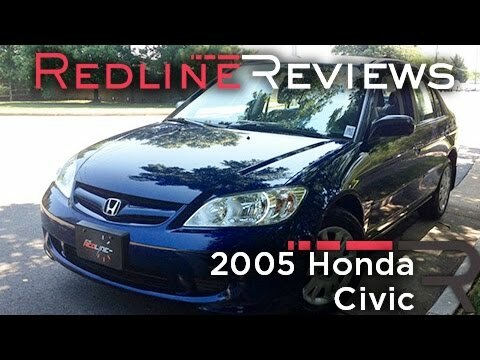 Used Review: 2004 Honda Civic Coupe! American Honda Motor Company, Inc. (Honda) is recalling certain model year 2001 Accord, 2004 Civic, and 2008 Pilot vehicles. Upon deployment of the driver side frontal air bag, excessive internal pressure may cause the inflator to rupture. Honda will notify owners, and dealers will replace the driver side frontal air bag inflator in all affected vehicles, free of charge. The manufacturer has not yet provided a notification schedule. Owners may contact Honda customer service at 1-800-999-1009. Note: This recall is an expansion of recall 14V-351. ON CERTAIN PASSENGER VEHICLES, SOME FRONT SEAT BELT ANCHORS MAY HAVE BEEN INSTALLED WITH AN INCORRECT WASHER, WHICH COULD RESTRICT ANCHOR MOVEMENT. AS A RESULT, THE SEAT BELT MAY BE IMPROPERLY POSITIONED FOR CERTAIN OCCUPANTS. AN IMPROPERLY POSITIONED BELT COULD INCREASE THE RISK OF INJURY IN THE EVENT OF A CRASH. DEALERS WILL INSPECT THE FRONT SEAT BELT ANCHORS FOR RESTRICTED MOVEMENT. IF AN ANCHOR DOES NOT ROTATE FREELY, THE DEALER WILL REPLACE THE WASHER WITH A COUNTERMEASURE WASHER. THE RECALL BEGAN ON NOVEMBER 24, 2004. OWNERS SHOULD CONTACT HONDA AT 1-800-999-1009.